Home / a79unlockfile / Demo Lock Remove Tool. 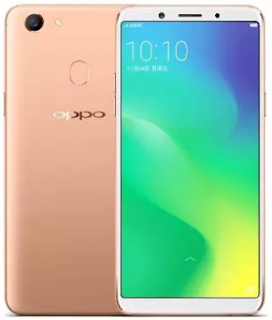 / Oppo A79 Offical Flash Tool Support For Network Unlock / Pattern / Pin / Oppo A79 Offical Flash Tool Support For Network Unlock,Pattern ,Pin,Demo Lock Remove Tool. Oppo A79 Offical Flash Tool Support For Network Unlock,Pattern ,Pin,Demo Lock Remove Tool. All Oppo Models Support Tool Required File. 1# Download tool setup & Key. 2# Download : Zip Password. 3# Download flash tool setup. SUPPORT FOR UP COMMING NEW MODELS. All Oppo Models Support Tool Activated Method. 1# DOWNLOAD OPPO FLASHING TOOL. 4# NOW SHOW ON SHORTCUT ON PC CodeMeterRuntime DOWN CLICK TO OPEN. 5# GO TO ACTIVATION TAB. 6# PUT HERE THIS LINCENCE OPPOMsmDownloadToolNoneLic_2001 DOWNLOAED FILE. 7# THEN OPEN ANY OPPO TOOL.NO NEED FOR CRACK. 8# YOU FLASH ANY OPPO PHONE WITHOUT BOX UPCOMMING ALL NEW MODEL SUPPORT. 9# DOWNLOAD LINK AVIABLE ON DISCRIPITION. 10# ADD ONLY AFP FILE SUPPORT TOOL. 11# TYES te123 ENABLE FORMTE OPTION. 12# CONNECT PHONE AND FLASH OPPO PHONE.